Last weekend my friend ALISA made the 10 year anniversary DINNER for the curatorial program at the Art Academy here in Bergen. AND I had the pleasure of HELPING OUT. The menu of the evening was baked redfish with fennel RISOTTO, boeuf bourguignon with mashed potatoes and for dessert (drum roll); St. John's DONUTS filled with vanilla cream. 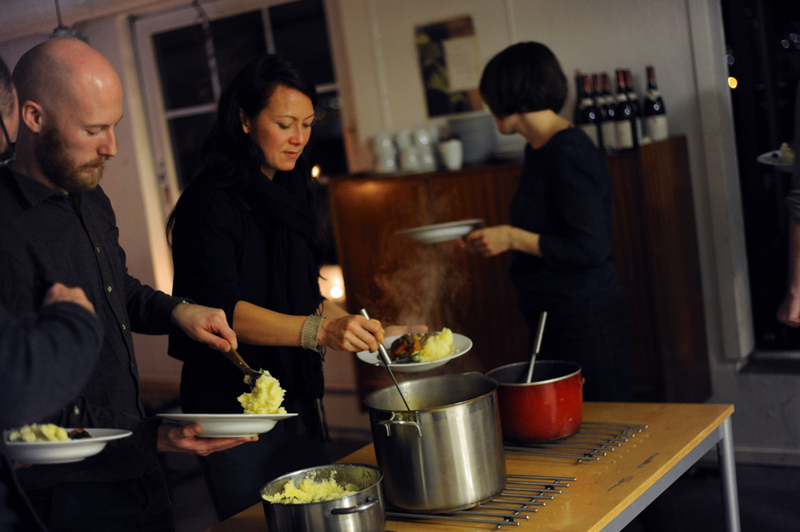 It was really fun to help, to hang out and to taste the dishes, and everything was DELICIOUS. PRESS the PICTURE to see more!